A German woman who joined the terrorist group ISIS went on trial accused of letting a Yazidi girl she and her husband kept as a slave die of thirst. This case is reportedly the first in the world for international crimes committed by ISIS members against the minority group. Jennifer W. appeared in Munich’s court on April 9 where her trial is initially scheduled until Sept. 30. 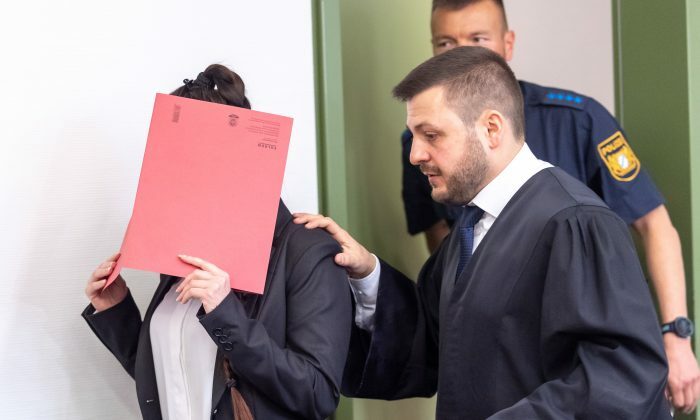 The 27-year-old could face life in prison if she is convicted of murder, murder as a war crime, obtaining membership in a terrorist organization, and other violations of the German War Weapons Control Act, according to AFP. She allegedly confessed to the child’s death to an undercover FBI agent in a bugged car, according to German media Der Spiegel. In 2015, Jennifer and her husband, Taha Sabah Noori Al-J., allegedly bought the 5-year-old girl and her mother—who is a co-plaintiff in the trial—as household “slaves” when the couple was living in then ISIS-occupied Mosul, Iraq, reported the news wire. Prosecutors said after the girl fell ill and wet her bed the husband allegedly chained the girl outside where she died of dehydration in the summer heat. “The federal prosecutor accuses the defendant of not intervening although it would have been possible to avoid the death of this five–year–old girl,” Munich court’s spokesman Florian Glitzky said. In January 2016, after the girl’s death, Jennifer went to the German Embassy in Ankara to renew her identity papers. After leaving the mission, she was arrested and extradited to Germany several days later. But due to a lack of evidence, she was allowed to return to her German home and she quickly sought to return to the ISIS territory, the news wire reported. 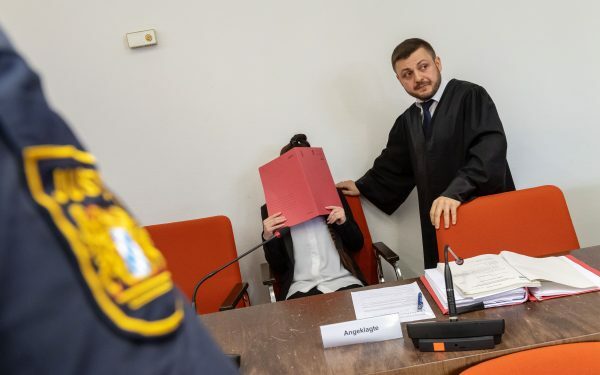 “Preliminary proceedings started in 2018 when the defendant tried to travel to the territory of the so-called Islamic State [ISIS] in Syria again, along with her two-year–old daughter. That’s what started the investigation in the first place, which then led to information about the crimes of the defendant,” Senior Public Prosecutor Claudia Gorf told reporters on April 9. According to Der Spiegel, Jennifer was arrested again after an undercover police informant in a bugged car offered to take her back to the ISIS “caliphate.” Authorities, who were following behind, were listening into the conversation where she allegedly confessed and arrested her at a highway stop en route to Turkey. 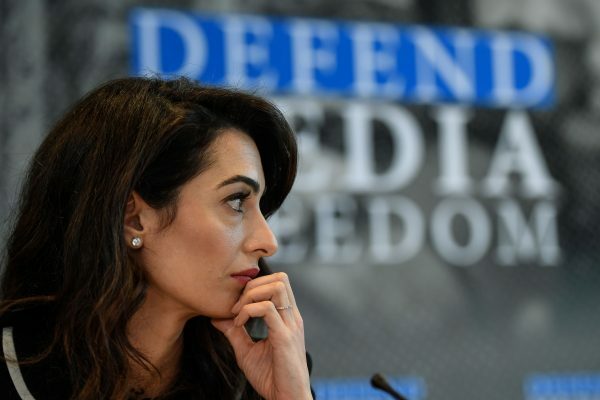 High profile London-based human rights lawyer Amal Clooney, the wife of Hollywood actor George Clooney, is also involved in the case after participating in a campaign to raise awareness about ISIS crimes against the Yazidi minority group. She is now on the team representing the young girl’s mother. “I hope that this will be the first of many trials that will finally bring ISIS to justice in line with international law,” she said in a statement, reported AFP. Jennifer reportedly left school in 2013 when she was in eighth grade and converted to Islam. Then in mid-2014, she traveled from her home via Turkey to Syria and then Iraq where she joined ISIS. She was recruited in mid-2015 to be part of the “anti-vice squad” or morality police where she patrolled city parks in ISIS-occupied Fallujah and Mosul with an AK-47 assault rifle, a pistol, and an explosives vest. Her role was to ensure that ISIS’s strict dress code, public behavior, and bans on alcohol and tobacco were enforced.